Make your outdoor and green space sitting-friendly with pallet outdoor furniture ideas and let your all patios, backyards and garden look comfortable and inviting all the time! This time we are with this pallet garden bench ideas, built with care to rock and amaze! User can feel fully relaxed while sitting back to it and can have more fun with the armrests that also avoids the cushions and pillows to fall off! Hand-picked removed pallet slats have been cut down new different sizes, sanded and then refinished to build the friendly design of bench with unbeatable stability to serve you longer than usual! Plan different finishes to get the desired look and hue of it or to match it with your residential park area decors or that of garden! Stain will also be a perfect choice to vary its wooden tone to any and would empower the wood with more strength, durability and protection! Rummage around to get the pallets, we assure you that will love to live with this bench! 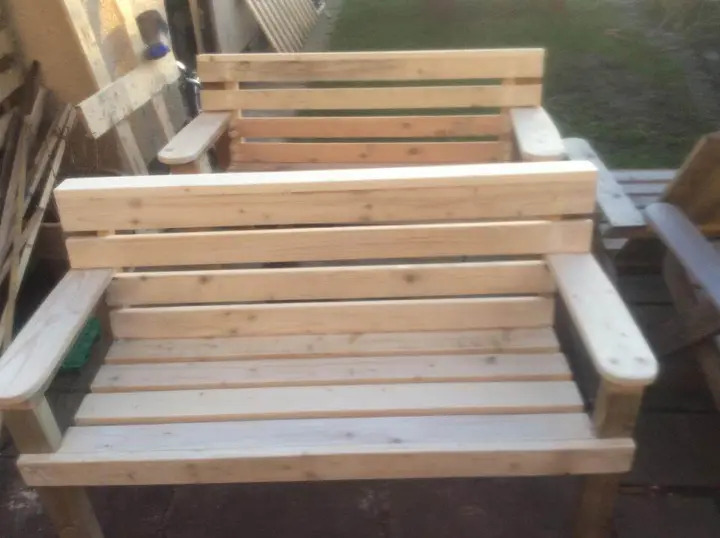 Use the pallets first to build the berth and back of this bench having an L-shape! Then finish it with legs and armrests using more pallets and enjoy! Using the nails, screws and other hardware, entire assembly has been done for a tightly held and lasting structure! 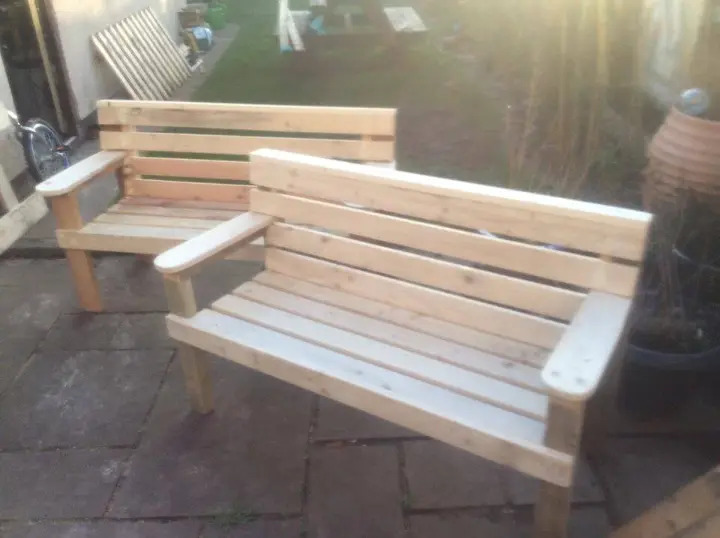 Bench is really special for your front porch area, garden sitting and also to enjoy your poolside with your friends and family! You can use a cluster of such benches to organize a whole garden or patio portion for comfortable sitting all the time!